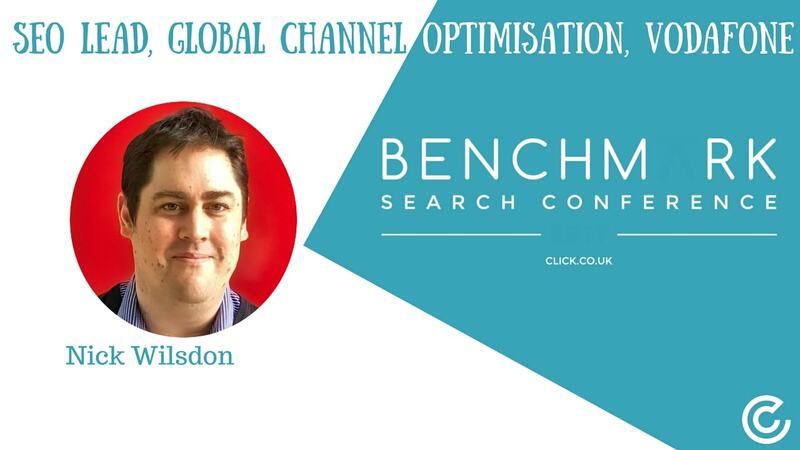 Nick Wilsdon started his online career in 1998, giving his first SEO seminar two years later in Brighton. After moving to Moscow, he became an expert on Russian search, working with gaming clients across CIS markets. During this time he was involved in the Russian start-up community, working with Yandex, RF parliament members and the US State Department. Since his return to the UK, Nick Wilsdon has held the ‘head of department’ roles at Arena Media, part of the Havas Media Group and within the Dentsu Aegis network. As the SEO lead at Vodafone Group, he is standardising and improving online performance across 22 markets and 55 partner markets. He is particularly interested in mobile SEO, cross-channel campaigns and joining up the dots in a logical way. Click Consult also provides a range of other services, including content marketing, inbound marketing and conversion rate optimisation (CRO), as well as international and multilingual search. The company is Google AdWords and Microsoft adExcellence certified and is on the Recommended Agency Register.